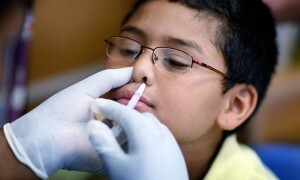 The debate continues on whether or not vaccines cause serious consequences for children. On the one hand they are designed to warn off childhood diseases such as diphtheria, small pox, and so on. However, on the other hand, there is much controversy about vaccines causing various side affects. The worst-case scenario is the debate about vaccines causing autism. Modern medicine to date has not proven conclusively that vaccines are linked with autism, but it is something to look out for. While vaccines contain some dosages of the virus it is fighting so that the body builds up immunity to that virus, what does it do to a body that is already fighting a respiratory disorder such as asthma? These children already have a compromised immune system as it is. Millions of babies are inoculated against various diseases yearly. Furthermore, they are immunized within the first few months of their vary lives. What are the short term effects of these vaccinations on small babies and are they serious or not? At the time vaccines made their appearance it was for a specific reason and that reason was to inoculate against the devastating affects of two deadly diseases, diphtheria and whooping cough. The vaccines worked and the epidemics were whipped out. Today however, children are subjected to at least 10 to 15 different vaccines while their young immune systems are developing. Not only do we have the issue of what these vaccines are doing to the human body at a crucial development period in life, we are also faced with the fact that we don’t really know how all these vaccines are interacting with each other and what the long term affects will be on these children. Children suffering from asthma and other respiratory diseases already have a compromised immune system as it is. Yet, the studies on the effects of vaccines on the development of the immune system are lacking. Dr. Michael Odent is an internationally known obstetrician involved with the Primal Health Research Center in London. He believes it is time to test vaccinations and their long term affects on the body. It is also time to test the interaction of combining different vaccines. He does admit it is a daunting task. 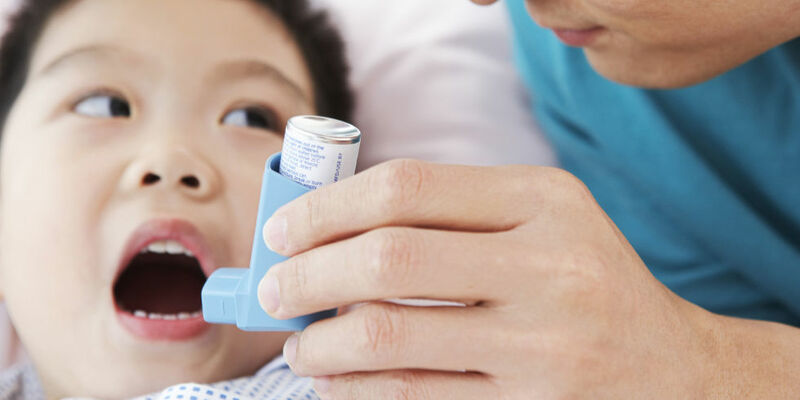 The World Health Organization states that for every 1000 children being vaccinated for the pneumococcal vaccine, 1.3 children will develop asthma because they were given the vaccine. The trouble is that only 3.6 children, according to Jacob Puliyel, are affectively immunized against pneumonia. He disagrees with the WHO finding that the pneumonia vaccine is effective. He sites that 450 million deaths from pneumonia occur in the sub-Saharan region of Africa and the victims were immunized. He states that the vaccine does not eradicate clinical pneumonia though it has shown been shown to reduce bacteraemic pneumonia and radiological pneumonia. He argues that if the vaccine is not that affective, why give it. For the most part, at least in Western countries, pneumonia is easily treatable whereas a person, who contracts asthma because of it, will have that disorder for a lifetime. The Bristol Royal Hospital for Children, Department of Respiratory Medicine, conducted a longitudinal study and found that children who were given whole cell inactivated pertussis vaccine later developed asthma and atopy (an allergic reaction). However, when the statistical analysis was adjusted for the sample size they could not confirm the connection. These findings show a continual debate on whether or not vaccines affect asthma in young children. It may be a quite some time before other data is made available. This area is too important for research to pass up when the quality of life of young children is at stake. In the meantime parents have to sit wait and wonder. 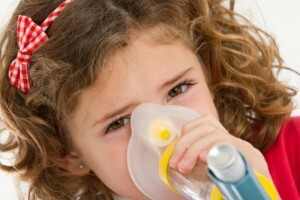 Will People Suffering From Asthma also Have Emphysema? What are some of the Most Widely Used Medications Used to Treat Asthma?